All nationals of third countries, which have yet not reached a visa-liberalization agreement with the Schengen member states, need to obtain a visa prior of their arrival in Europe. 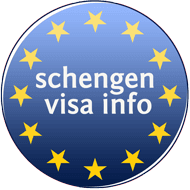 Schengen Visa. If you are a national of one of the third countries in need of a visa. How to Apply for a Schengen Visa Around the World? How to apply for a Schengen visa from the US? How to apply for a Schengen visa from Canada? How to apply for a Schengen visa from Australia?